The decision to get into good physical shape and be healthier is often an easy one to make. After all if you are a wife and mother, you have millions of things to do and the better shape you are in, the easier it is to get it all done. While it is easy to decide to get into better physical shape, the actual doing is not so easy. But, a step at a time, it can be done. Don’t let the gym scare you, just start walking your way to better health. Once upon a time I was a runner. By that I mean I was a person who ran track and enjoyed just the act of running. I ran the two-mile relay, the mile and the two-mile as well as cross country. I was able to move! Alas, that was many many years ago. Today I walk. I walk a lot, but I walk. Some people find going to the gym to work out scary. After all, if you are in pitiful shape, it can be demoralizing to be surrounded by people who are in amazing shape working out and getting even more amazing. It may sound like a silly reason to stay out of the gym, but it is a real reason. So, it is important to find a place to work out and get in shape that will not make you feel bad or uncomfortable. Another reason people don’t join the gym is because of the price. Yet another reason is because they do not have the clothes or the equipment. Still other people find it hard to get to the gym because they cannot fit it into their schedules. This article is not sponsored in any way by Planet Fitness. I am writing about them specifically because it is the gym I joined recently at the start of my quest to get into better physical shape. I joined Planet Fitness for many reasons. One of which was the price. When I signed up, the fee was $5.00 down and then $10.00 per month. Seriously, $10.00 a month. I have friends who spend more than $10.00 a day at Starbucks. So, the opportunity to join the gym for $5.00 per month and then $10.00 per month was an opportunity I had to jump on immediately. There are all kinds of people at the gym when I go. I see young women working out before they go off to college classes. I see older people who are maintaining their physical condition. there are other people like me who are way out of shape and finding their way back. It is nice. Right now I am using the treadmill at 3.2 miles per hour for about 45 minutes on Monday, Wednesday and Friday. On Tuesday, Thursday and Saturday I use the elliptical machine for 20 minutes and then the treadmill for 25 minutes. As this shows you, I really am working on getting into shape one step at a time. I do not drive, so if the gym is not close by or easily accessible by public transportation, I will not be going on a regular basis. The gym I go to is a 7 minute bus ride from my house. Once, I put my little ones on the school bus, I am able to grab my gym bag, finish my cup of decaf, grab my gym bag and then go off to the gym. I work out for 45 minutes because that gives me time to work out, shower change and meet the next bus going back to my house. Winning! Continued on page 2. Click 2 below to continue. Living well is a choice. Today you can make a choice to live well in all areas of your life. This space was created to help people live better now in all areas of their lives. This includes physical, emotional, spiritual, sexual, financial and mental. You don’t have to wait for a special occasion to live better, you can start today, where you are right now. 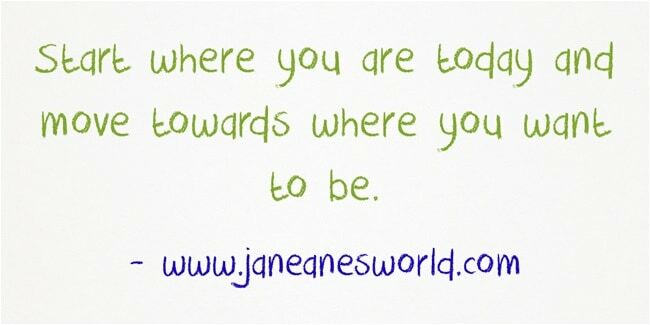 Start where you are today and move towards where you want to be. I am a busy woman with a lot of things on her plate. I am a wife of 25 years and a mother of four children ages 19, 12, 8 and 8. 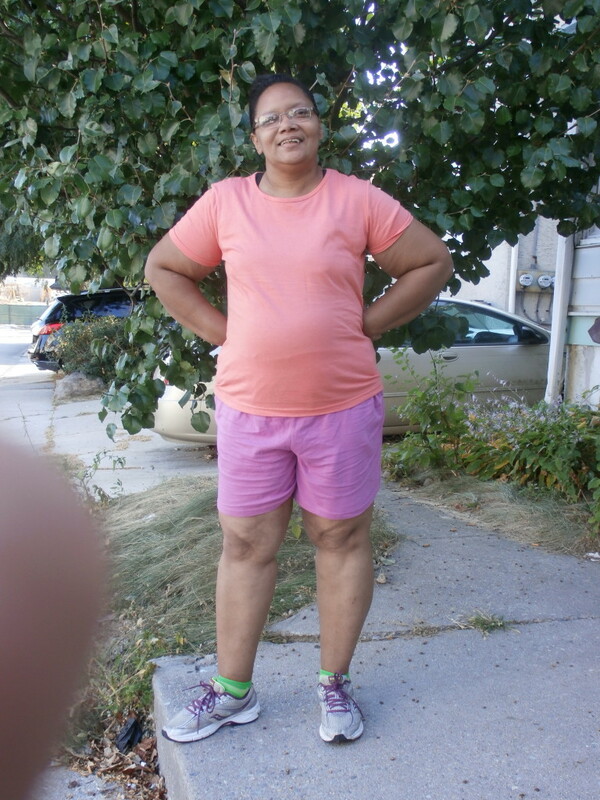 Over the course of time, I have gone from being a track star who ran the two-mile relay, the 1600 and cross-country to a woman who does not run and wants to get back into good physical shape. I have begun a journey to get into good physical condition. I will share that journey with you in the hopes that if you need it, you will start a journey of your own. Life is often busy. As a wife, mother and entrepreneur, there are literally hundreds upon hundreds of things I must do each day. For many years that has been the excuse and reason for not getting into shape for not acting to take action now to get back into good physical condition. Today I have decided, no more. The excuse and reason just doesn’t sit well with me. It really is not a good excuse. There is never going to be a perfect time to get into better physical shape. The house is never going to be good enough. The children are never going to be independent enough. The is no “perfect time” on the clock. This is me, as I am, no filter, at the start of the journey. Since there is no perfect time, I have decided this is the time. This is the place for me to make my stand and take action now to get into better physical shape. I wanted to join a gym, but wanted to be a good steward over my financial resources. When I found out the Planet Fitness in my neighborhood was having a join for $5.00 special and then pay $10 a month for membership. I knew it was time to join the gym. So, over to Planet Fitness I went and joined the gym. As an entrepreneur who works from home, the hours when my children are at school are precious. Those are the house when I get the most work done, when I am at my freshest and have the most energy. At the same time, I know that exercise helps the brain work better. I know that exercise speeds up the metabolism and makes it easier to work, to think and to get things done. The decision to start each day by going to the gym before I work was not an easy one, but it was a sensible one. After I put the children on the bus to go to school, I hop on the bus and go to the gym to work out each day, Monday through Friday.